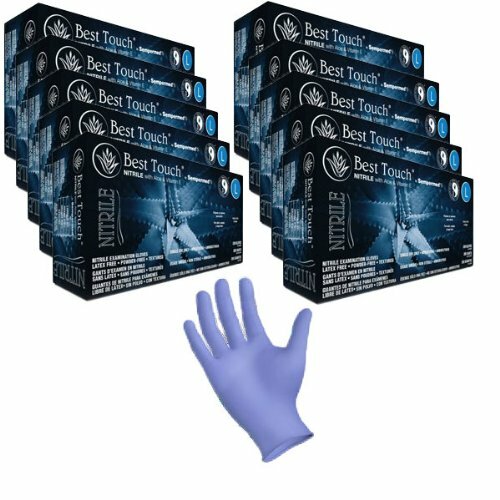 Best Touch® Nitrile with Aloe & Vitamin E provides enhanced protection and comfort with the added benefit of an aloe and vitamin E coating. It provides excellent protection and tactile sensitivity while the aloe and vitamin E coating soothes your hands and helps prevent skin irritation. It also features the new Smart Dispense Technology, Single Glove DeliveryTM packaging method, which reduces wrinkles and allows for more gloves per box. If you have any questions about this product by Best Touch®, contact us by completing and submitting the form below. If you are looking for a specif part number, please include it with your message.